New York, Nov 21: Researchers have developed a novel two-in-one device that uses solar energy to not only make hydrogen cars affordable, but also has the potential to power homes with hydrogen -- known as the cleanest fuel. "People need fuel to run their vehicles and electricity to run their devices. Now you can make both electricity and fuel with a single device," said Richard Kaner, Professor at the University California Los Angeles (UCLA). Currently, about 95 per cent of hydrogen production worldwide comes from converting fossil fuels such as natural gas into hydrogen -- a process that releases large quantities of carbon dioxide into the air. But, the new device, which is inexpensive and would fit in the palm of your hand, produces hydrogen fuel in an environment-friendly way as it uses solar cells and abundantly available elements such as nickel, iron and cobalt to split water into hydrogen, a step that can aid in reducing the cost of hydrogen production. "Hydrogen is a great fuel for vehicles: It is the cleanest fuel known, it's cheap and it puts no pollutants into the air -- just water," Kaner said. "And this could dramatically lower the cost of hydrogen cars." The technology, described in the journal Energy Storage Materials, could be especially useful in rural areas, or to military units serving in remote locations. 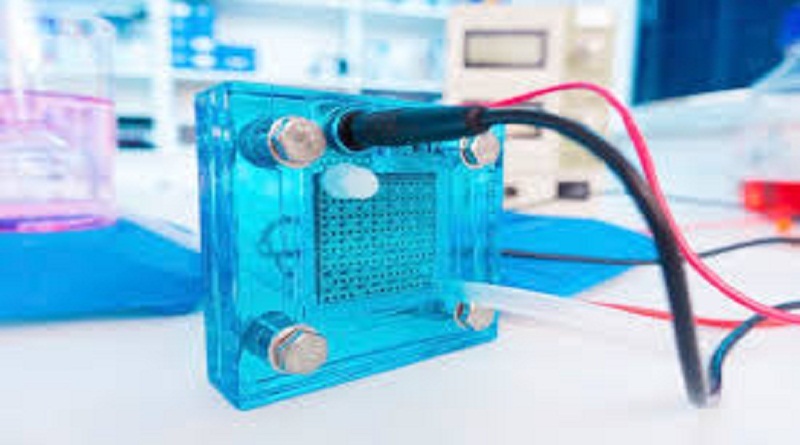 While traditional hydrogen fuel cells have two electrodes: one positive and one negative, the new device possesses a third electrode. All three electrodes connect to a single solar cell that serves as the device's power source, and the electrical energy harvested by the solar cell can be stored in one of two ways -- electrochemically in the supercapacitor or chemically as hydrogen.